Afternoon Tea is a photograph by Seth Shotwell which was uploaded on January 20th, 2013. After "Morning Coffee", I began to feel like our British roots had been overlooked. 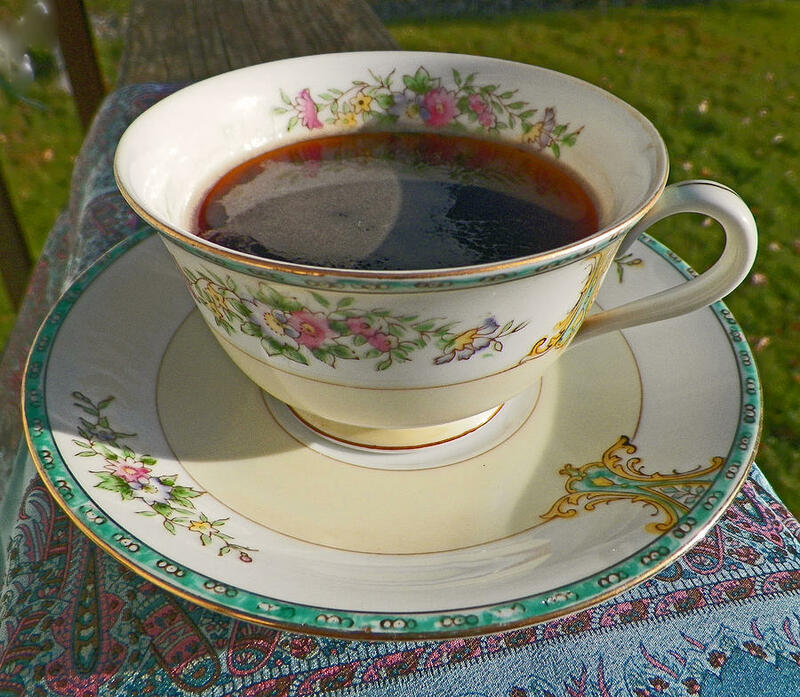 This is a really pretty art deco Noritake cup and saucer from the early 1920s ... for the discriminating palate. Thanks to our Northwest winter sun for the lighting. Thank you First Star Art for featuring this image in the group, "Gothic Romance"! Thank you Patricia for featuring this image in the group, "Manufactured Objects"! Thank you Krista for featuring this image i the group, "Collectors' Treasures"! Very kind of you! Thank you Miss Pamela!! Refinement is so out of character for me. I especially like the part about tea clouds! I could use the cash!